New Mexico is home to 165 species and subspecies of snakes, lizards, turtles, frogs, toads, and salamanders. Some are ubiquitous and others are localized. If you want basic and reliable information on the lizard in your backyard or the snake you encountered on a hike in the mountains, this handy field guide is invaluable. Both complete and concise, it includes species accounts, maps, photographs, and black-and-white drawings to help you identify the species you have encountered. 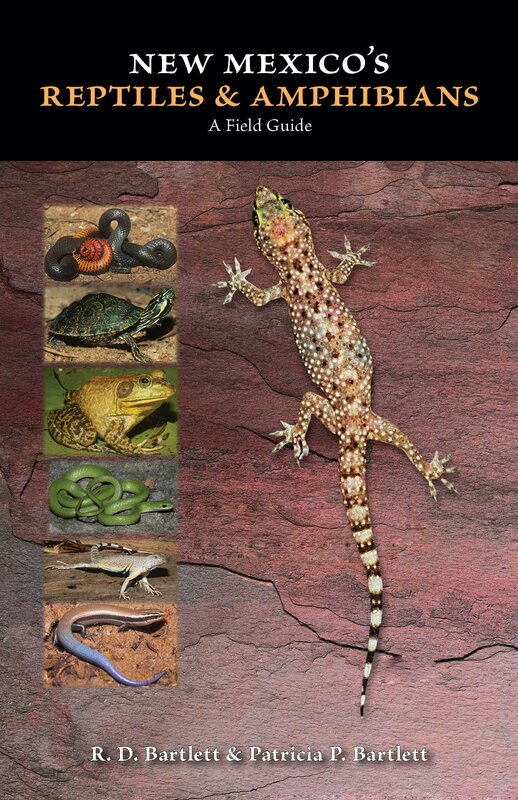 In addition to basic taxonomy and a glossary, the authors have included suggestions on field protocol and legalities, as well as useful information about the various herpetofauna habitats in the state. R. D. Bartlett and Patricia P. Bartlett are the authors of over fifty books on reptiles and amphibians, including Guide and Reference to the Amphibians of Western North America (North of Mexico) and Hawaii.